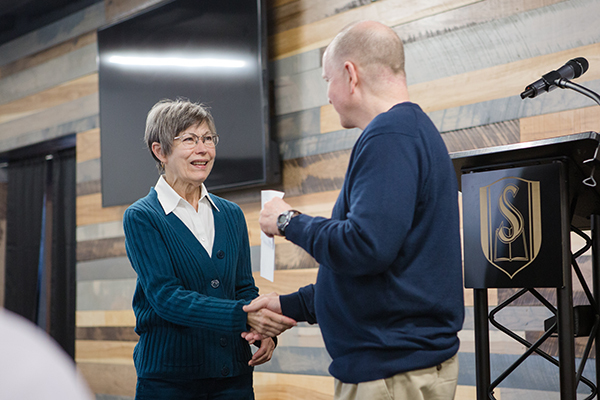 The Human Resources Office of Southeastern Baptist Theological Seminary seeks to provide support to faculty and staff in the administration of employment services, compensation, employee benefits and other human resource services. We support the mission of Southeastern Baptist Theological Seminary and are committed to providing high quality services to meet the needs of all current and prospective employees. To be considered for any current or future on-campus Staff positions, please submit your resume to the Human Resources Office along with relevant information (full-time, part-time, student, student-spouse, when available, etc.) to help us in matching you with any available positions. Curriculum Vitae for Faculty positions can be submitted to the Provost Office to be kept on file. For off-campus employment, please contact the Employment Services Office. If you are a current faculty or staff member, please go to Greenshades to find check stubs, tax documents, employee resources, policies, forms and other important information.